Times ago, I made blinds for the kids bedroom, and now I just hanged the kitchen ones. I like roman shades, they look modern and add a nice finished touch to any room. Today I will explain how you can sew your own ones. They are removable, which mean you can easily take them off to wash them. It a quite long tutorial, I hope to provide clear explanations. Don’t hesitate to leave a comment if you have any doubt. Material: Nice fabric and matching thread, plastic rings, 1/2 wooden dowels, a 1 x 2 wood plank, velcro, some rope, blind hooks. First step, take the measurements. 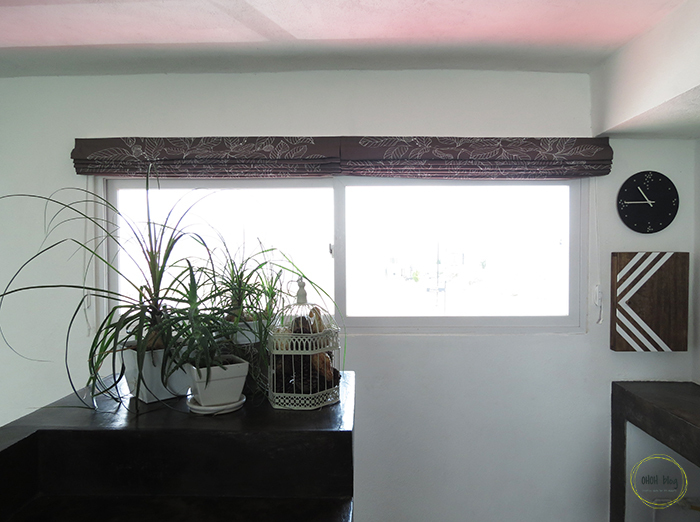 Definite the finish blind dimension (red square), think to leave more fabric on the top part, you need some space to fold the blind above the window. 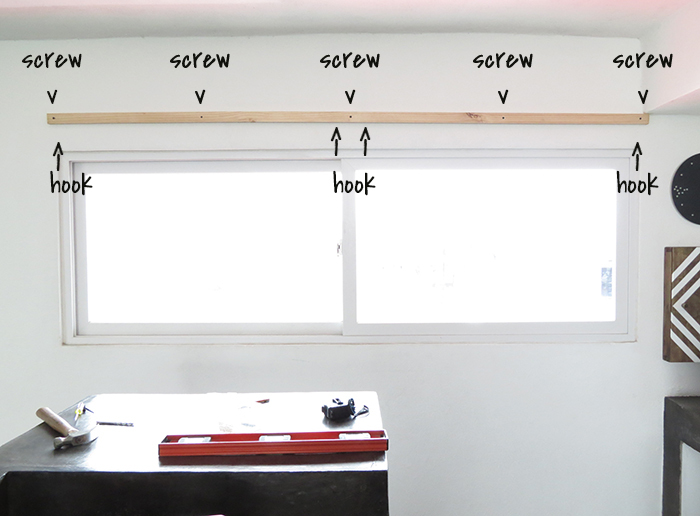 You need to add 1 inch on each side for the seams, and you need to add extra high for each dowel you will use in your blind (green lines). Example: the finished blind need to be 50 inches width x 40 inches high. 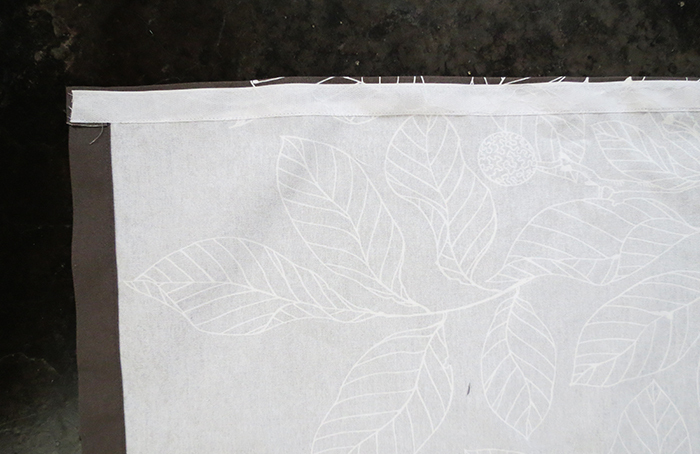 Adding the seams, the fabric dimensions must be 52 inches x 42 inches. You need to add 2 inches for each dowel, in this case 6 dowels, 2 inches x 6 = 12 inches to add on the height. 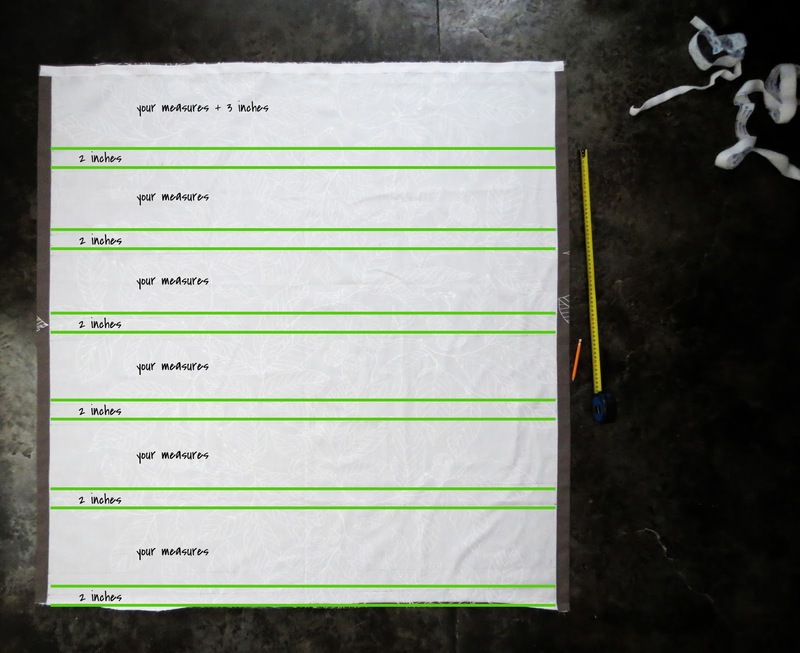 So the fabric piece to cut is 52 inches x 54 inches. The number of dowels you will need will depend of the window dimension. I suggest to place one every 6-10 inches. Calculate to place them in a uniform manner along the entire height. 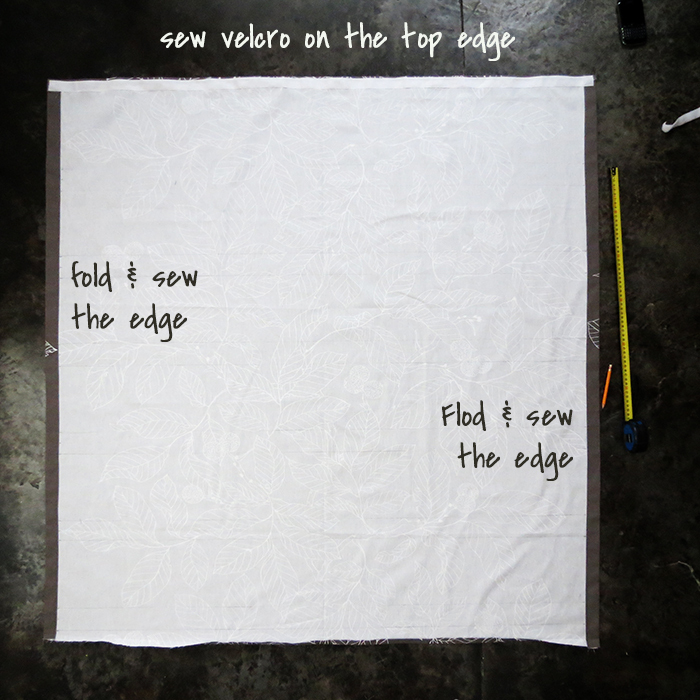 Take the fabric, fold the vertical edges and sew them. you to take off the blind if you want to wash it. Take a ruler and trace the lines to make the fold where the dowels are gonna be slide in. For this blind, we place a dowel every 6 inches ( = your measure on the pic). Starting from the top (just under the velcro), take the measure + 3 inches. It this case 6 in. + 3in.= 9 inches. Trace a line at 9 inches, and a second one, parallel, at 2 inches distance. Leave 6 in. (= your measure) and trace a line, and a second one at 2 in. And so on until the bottom edge. Fold the blind through the inside following the lines, both lines must be on top of each other. Pin and sew on the line. Repeat to make all the folds. To make the bottom fold, you just need to fold the edge. When all the fold are made, iron your blind. Hand stitch a ring on each fold, at more or less 1 inch from the edge. Do it on both sides. Time to hang the blind on the wall. Screw the 1×2 plank on top of the window. I place it at 7 inches above the window, but it will depend of your folds dimensions. Screw 2 eye screw (hook) on the lower part of the board. I make 2 blinds, so in this case, I will need 4 eye screws (2 for each blind). If you like too, you can paint the wood. Glue velcro on the upper part of the plank. You can use adhesive velcro, or a glue gun to fix it. 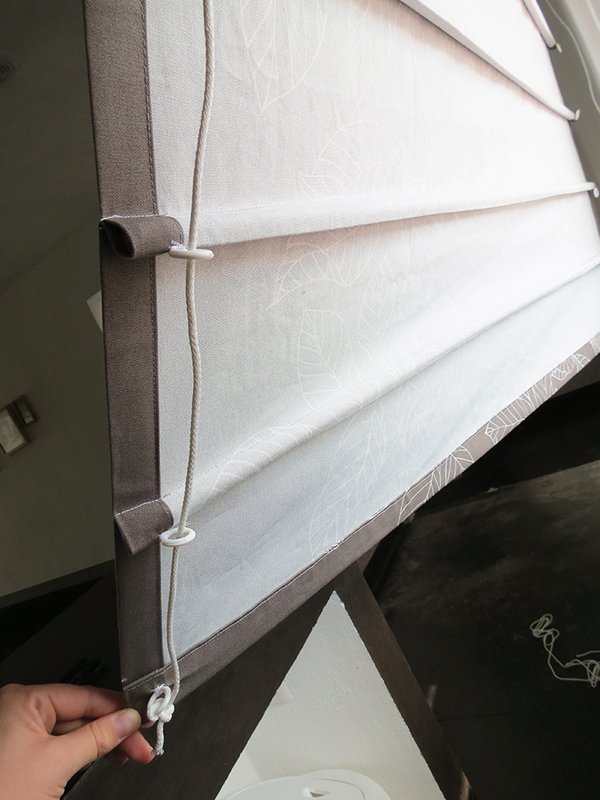 Attach you blinds on the wall, just put both velcro sides ( the blind one and the plank one) on top of each other and press. 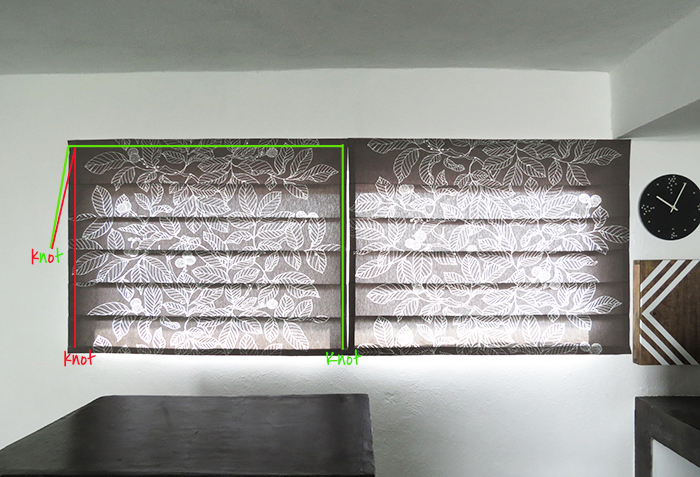 Ensures that the shades are straight, the good think is you can easily remove them if needed. Cut the 1/2 wooden dowels, 1inch smaller than the blind width, and slide them into each fold. Almost done, to open and close the blinds, you have to pass 2 pieces of rope into the rings and eye screws. First rope: start with a knot, pass the rope into each ring and both eye screws (green line on the pic). Second rope: make a knot with the lower ring, pass into each ring and one eye screw (red line). Joint both rope, adjust the lenght. 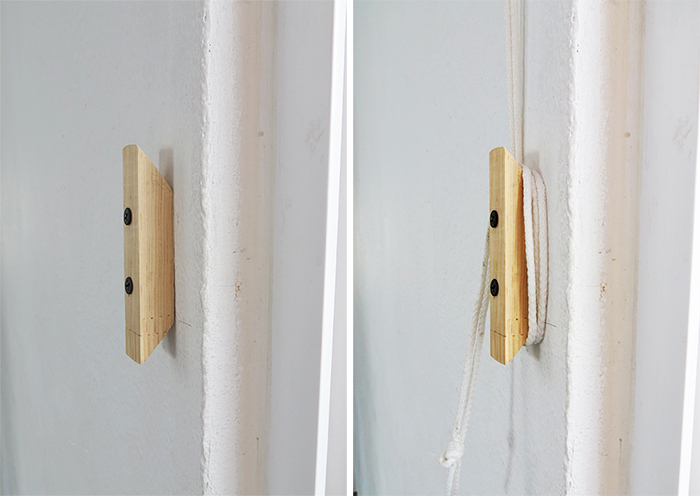 Both rope should be slightly tense so that the blind opens and closes right, finish with a knot. To attach the rope, and leave the blind open, fix a blind hook on the window side. For some reason I couldn’t find them at my hardware store, so I made one in wood and paint it white. And done! I hope it will help you to sew your own blind. For my kids bedroom I made a lining with blackout fabric. You can see some pics of the blinds in my son bedroom HERE. The key holder box on the right is also a DIY and if you want to make a fabric planter who match your shades, have a look HERE. DIY Blindhook? You are all kinds of Genius! I couldn't find any and gave up after I made my rolled blinds. And they are difficult to wash too, next time I'll make them with Velcro for sure. Hi Dalia, I'm glad the DIY blind hook will be useful! It was the same for me. I couldn't find anything to attach the blinds…Finally this simple piece of wood was the solution! 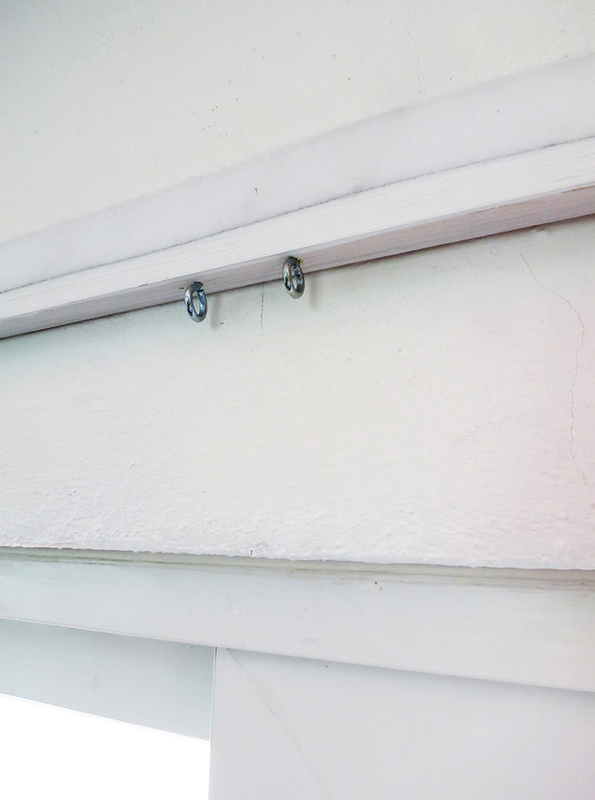 Easy and cheap to make, plus you can paint it the same color as your wall. I love this. I have one room that needs blinds and will be doing this. Great! 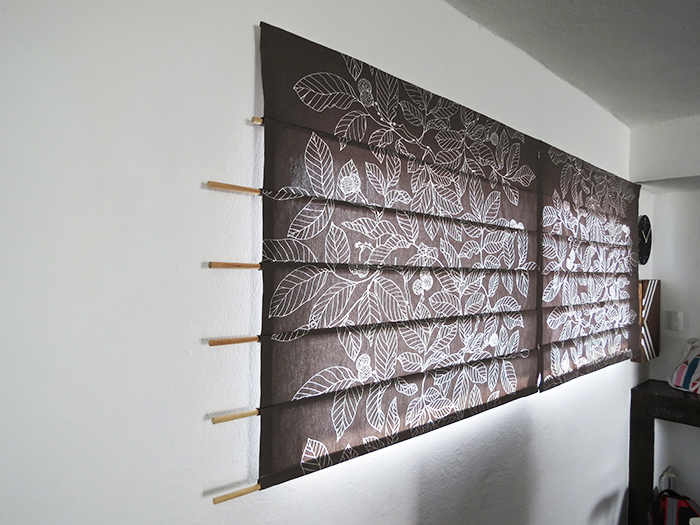 If you want to share, I will love to see your finished blinds! I have been looking for this type of shade for many years. I am sure I will be making these in the very near future. Thank you for letting us see and learn how to make these. Hello Judy, I'm glad it helps. Let me know how how your shades turns! Fantastic tutorial. This has to be the best I have seen so far. Thank you very much. I want to make a couple of roman-type shades, but I don't have mini blinds to upcycle as some tutorials require. Your method is great and will look nicer from the outside view as well. Thanks so much for your well-thought-out method and excellent directions. Hello Dinah, thanks for your nice comment! You are right, it does look clean from the outside when the blinds are closed, which is also important to me. I will have to take a pic and share it!! Have fun sewing and let me know who your blinds turns out! I made Roman shades using mini blinds a few years ago. They need to be redone because the cheap blinds broke. These shades are much more long lasting as they are made with wood dowels! Let me know how they turns out! When you open the blinds do your folds ever go inward? 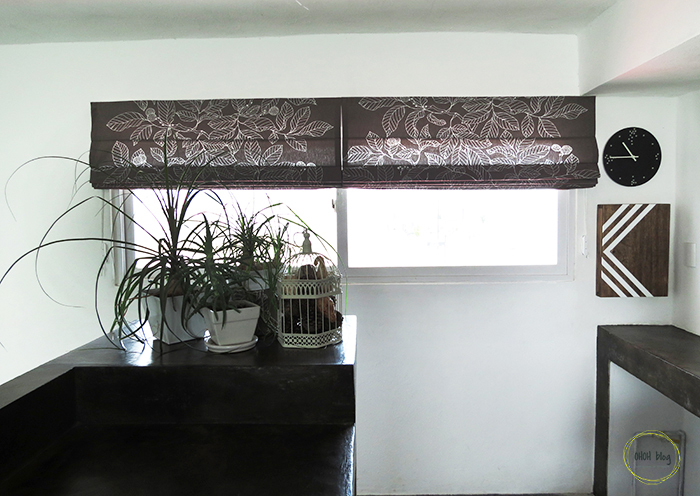 I made a Roman shade for my kitchen from a different tutorial and it looks nice but when I open it I have to pull the folds to the front (I hope that makes sense). I wasn't too make some for my boys' room but they'll need blackout so my 4 year old doesn't complain so much about it still being light outside. The folds goes to the front, but some times I have to arrange them to have them flat. I made the same kind of blinds with blackout for my kid's bedroom. It works great, even if sometime the fabric crumples a little. This is great! 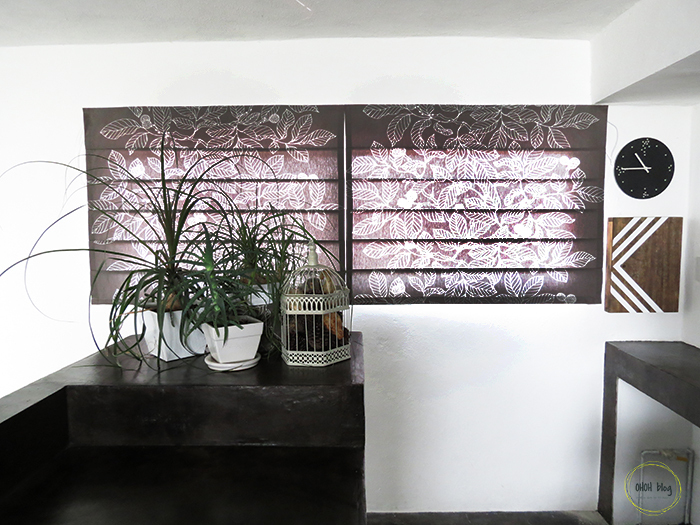 I made some by adapting old roller blinds. Two things I learned: 1. Never get the adhesive velcro, it isn't strong enough, get the sew on one. And you can get little metal washers for the back instead of plastic, they don't get brittle in the sun and break like plastic. I would had prefer metallic rings, but they only have plastic ones at the store. I did use washer in a previous blind, but they are to sharp. It chafe the rope and after a time it breaks it. Oi, Amarillys! Quero te dizer que, de todos os sites em que procurei o tutorial da cortina romana, o teu é o mais completo! Não leio/escrevo em inglês e entendi completamente! Obrigada! Beijo, Camélia Paiva. When adding a blackout backing is necessary, how would you go about doing this? Hello Megan, I made the same kind of blinds using blackout for my kids bedrooms. I first made a blind, following this tutorial, with the blackout fabric. This mean that the folds and the dowels are into the blackout. Then I cut a rectangle in the regular fabric, I folded the edges to have a nice finish and sew it on top of the "blackout blind". Obviously you have to sew it on the flat front side. I hope this will help you! It's a nice information about roller blinds Oldham.Nice blog ….we will wait for your upcoming post. Nice tutorial! Thank you for using fabric that shows up clearly. When using a blackout lining as someone else asked, how does the lining fold with the backing as you pull open the shade? It sounds as if you stitched the front fabric to the lining after all the folds for the dowels were made so that the front fabric is only attached around the edges. How does that work for the folds? 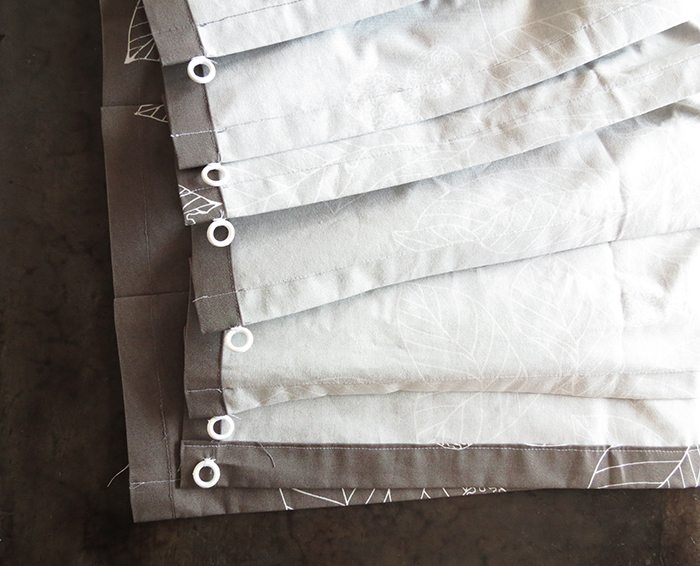 If you want to make a blind lining with blackout fabric, you first make the blind using the lining fabric (following this tutorial). 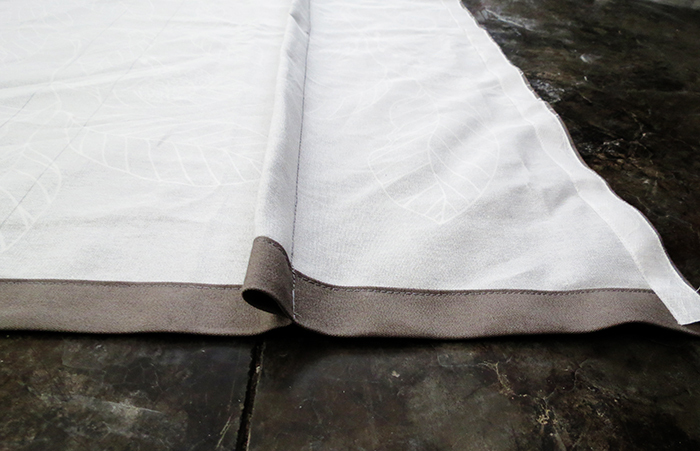 Then you apply the nice fabric on the front (the flat side) of the lining blind. You sew the edges together AND you make a seam above each fold of the lining blind. Try to make the seam as close as possible of the seam you made to create the fold in the lining. That way both fabrics are stitch together and the nice fabric will open and close perfectly with the lining. I hope my explanations help you! Hi Santie, I never thought of using bras rings but it’s a clever idea! Thanks for sharing the tip. Can you talk about washing the shades? You have to remove the rope and you just pull the shade to take it off, it’s easy with the velco. Take the dowels off and then you can cold wash and iron the fabric. You hang back the fabric by fixing the velcro together again. Pass the dowels back into the folds. The last thing you need to do is passing the rope back into each ring and make the knots. I avoid the dryer, I’m to scary they will shrink. hello Monic, The fabric comes from Ikea, I bought it a few years ago so I’m not sure they still sell it! It’s great ideas. It very helpful as well. Thank you for sharing. 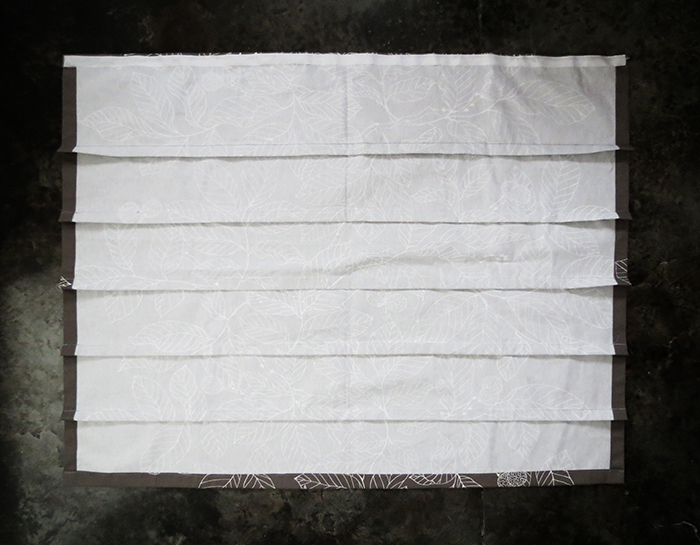 I am using a lightweight cotton fabric. Would it work if I line the fabric with a lightweight cotton? Thank you for the tutorial. Yes it will work. 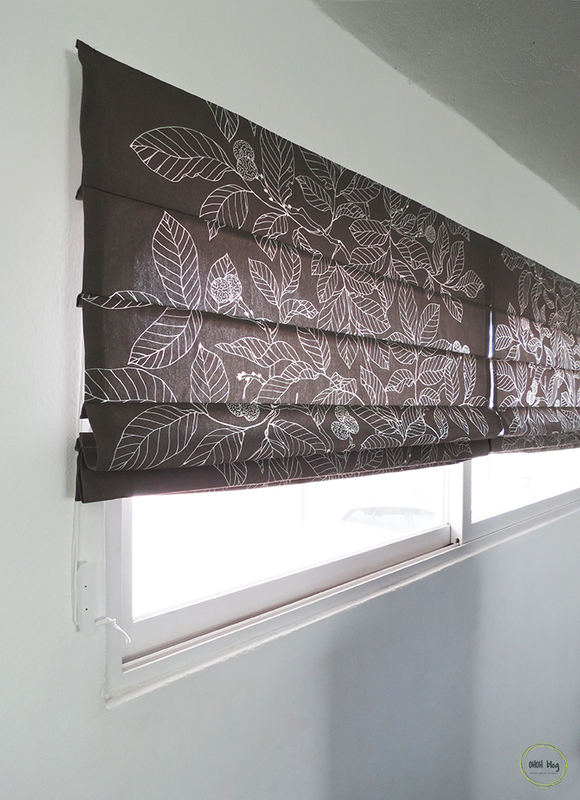 You can hang your fabric in front of the window to see how it will look before starting making the blind. And if you need blinds to keep the room darker you can line them with cotton or blackout lining (it’s what I used in my kids bedroom and it works great). These were the clearest, easiest directions I have ever seen for this type blind. Why would anyone make those other kinds out of old mini-blinds is beyond me. Beautiful job. I hope to make these soon for a kitchen window. Thanks for your sweet comment Patricia! 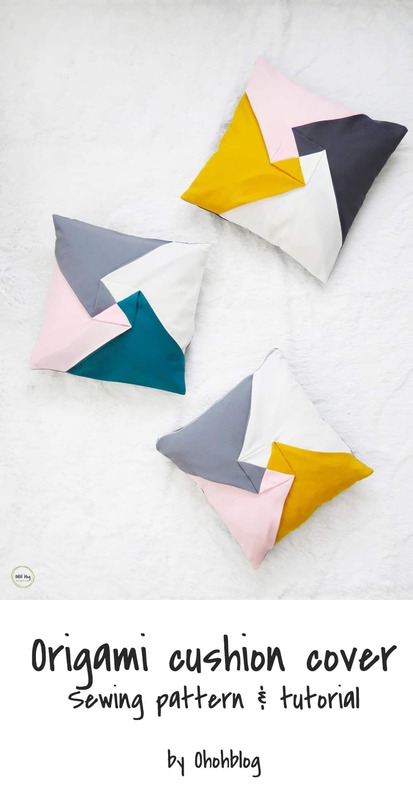 Just wondering if you could put the main fabric and lining fabric wrong sides together and treat it as one piece of fabric before continuing to sew side seams and folds that will hold the dowel rods. Have you tried this before? Hello Kathie, I never try that before. I guess it can work if both fabric are not too thick. I think if the folds are too thick the blind won’t open and close nicely! 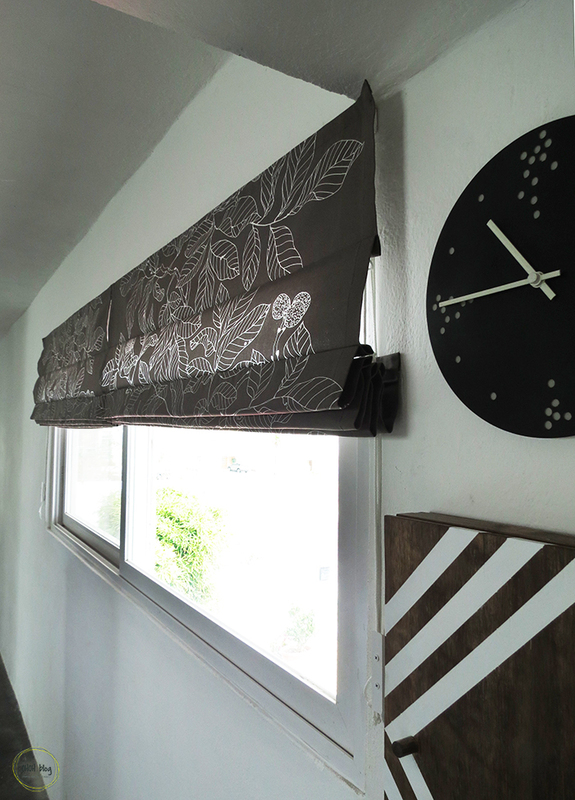 I used blackout lining fabric to make the blinds in my kids bedrooms, I first made and sew the folds on the blackout lining and then sew the fabric (flat) on top. Let me know how it works if you decide to give a try! By far, the best tutorial I’ve seen. Do you have any recommendations on how I can make some for my bay windows? They would have to fit inside the window frame. Thanks Zulin. 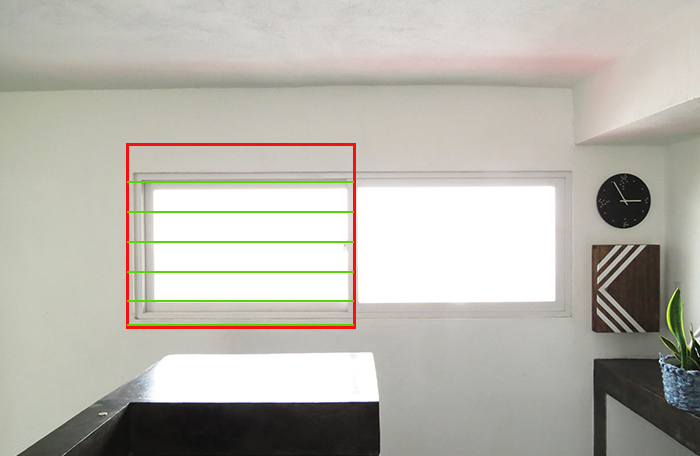 I guess you have to be very precise with the measurements to be sure the blinds fit in the window frame…maybe they have to be a little smaller than the windows so you would be able to close and open them easily. Great tutorial, thank you for putting this together. I just had one question, in the initial fabric measuring, you need to add and extra 2inches x number of dowels fabric length to accommodate each dowel. But in your example you have added that to both the length and the width. Is that a mistake? I can’t tell where the width you need extra for seam allowances other than the edges. Thank you for posting these instructions. I am going to do this in our camper. I am not a fan of the fabric-y accordion blinds with the old fashioned valances. These will be a perfect, more modern replacement. Now I will see how well I follow instructions! Sounds like a fun project! I would love to see your camper blinds, you can tag #ohohdeco if you share your sewing! Any idea what the cost was involved in making for one window? I made these blinds. I absolutely love them. Im on a serious budget and waited for JoAnns to have a big coupon and made them out of burlap, and now I’m going to make them with painters tarp. Thank you so much for this pattern. It’s the most simple to follow one I cam across. I so appreciate people who post things like this for us simpletons. I will continue to use it throughout my home. What an excellent way to ‘upgrade’ the look in the house for half the cost. Bravo! Thanks Kila! I like your idea of using burlap to make blind…It’s something I would love to try in the future. I had ordered firm plastic dowels from a mail order company and followed directions from a book but lost the directions and sources. Hi, I can’t see when comments were made or when this was published so hopefully you’re still answering questions haha. What kind of pull rope did you use? I’ve looked at nylon and polyester braided rope but everything I find is either much thinner or much thicker and looks way to slippery. Anyway, I made these and the instructions were fantastic and they were very quick to make! Thank you!! Hello Kelsey, I used synthetic rope (not sure if it’s polyester) I made several knots and add a little glue (silicone) to hold the knot together because you are right, it’s a little slippery. 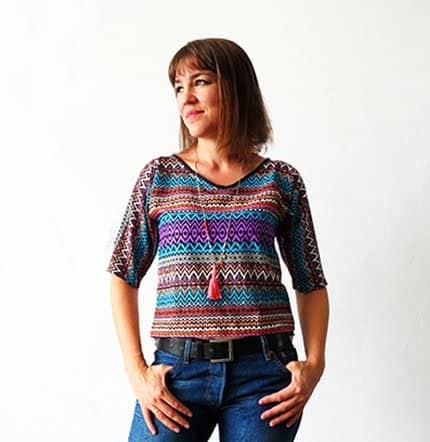 With the use, I found out that synthetic rope hold more time than natural fiber (cotton).